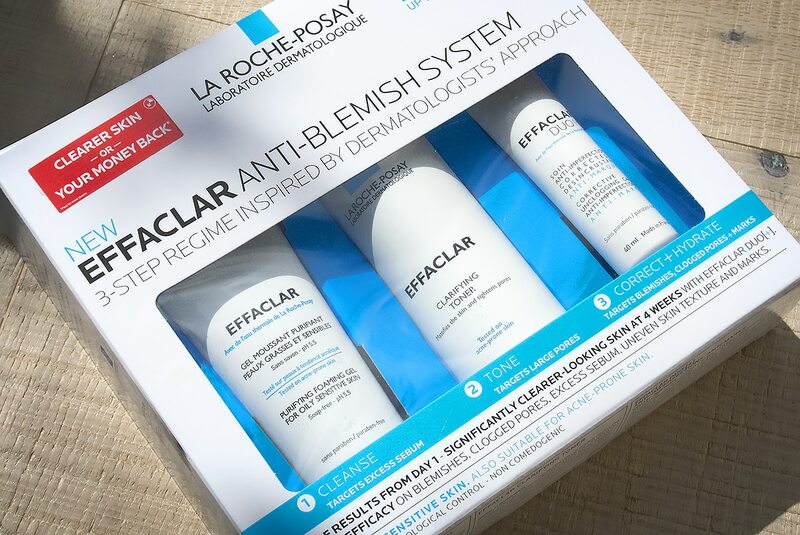 Over the last six weeks, three of my closest friends and myself have been trialling the new La Roche-Posay Effaclar 3 Step Anti-Blemish System. The products themselves aren’t new, and even though you might be thinking “But Thom! I’ve not seen that toner before!”, I’d firstly ask you to stop yelling at me and to stop waving your fist, then I’d say that the toner has been released to the Asian market for a while but simply never made it here to the UK… until now that is. Each kit gives you a £5 money off voucher to use against your next purchase of the kit as well as a promise that you’ll see beneficial differences in 6 weeks, or your money back. So La Roche-Posay wanted to put my friends and myself to the challenge. Phil has always had relatively clear skin, but through lack or care and environmental factors has always had at least 2 or 3 quite vicious blemishes. His skin, although balanced with oil, is often dehydrated. We’re actually on holiday together in Spain at the moment (we’re sharing the products in the cabinet above) so it’s been good to see his skin work with the products over an extended period of time. After 6 weeks, Phil found his skin clearer and the severity of the travelling spots reduced although they didn’t disappear entirely. His skin did look brighter although after a skin diagnostic, found it was a little rough on the surface. He found he suffered no sensitive reactions and his skin always felt soothed. He enjoyed the wash enormously, saying his face felt and looked cleansed but not tight or dry. He didn’t notice a huge amount of difference using the toner but I definitely noticed more of a brightness to the skin; I also explained that it was the toner that was preventing the travelling spots from appearing as frequently and as severely. Finally he loved the moisturiser and found that it kept his skin comfortable and hydrated all day whilst the redness of his initial spots was reduced almost overnight. I’ve recommended that Phil continues to use the 3-Step but also adds in a manual facial scrub 1-2 times per week to shake off those tougher to shake surface dead skin cells. Other than that, it’s worked well. 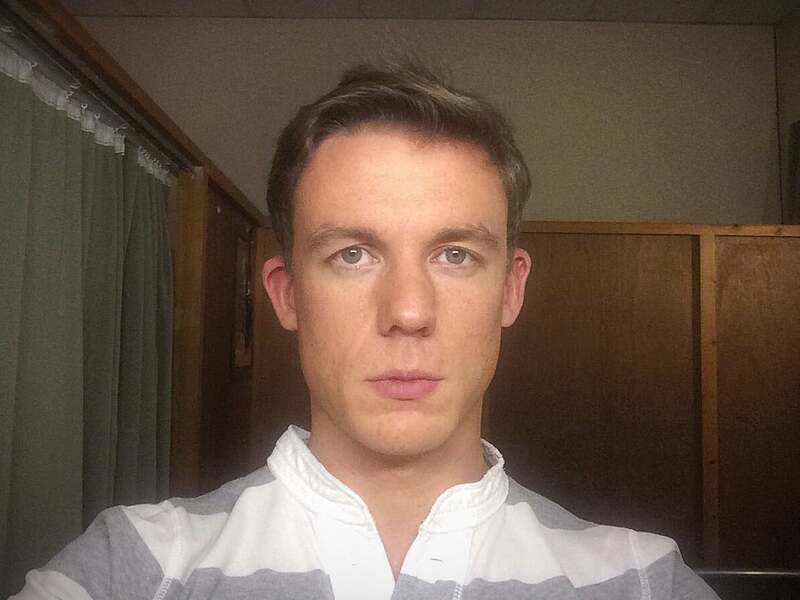 Although Chris’ skin sounds like a minefield, when kept in check, it’s clear and well balanced. 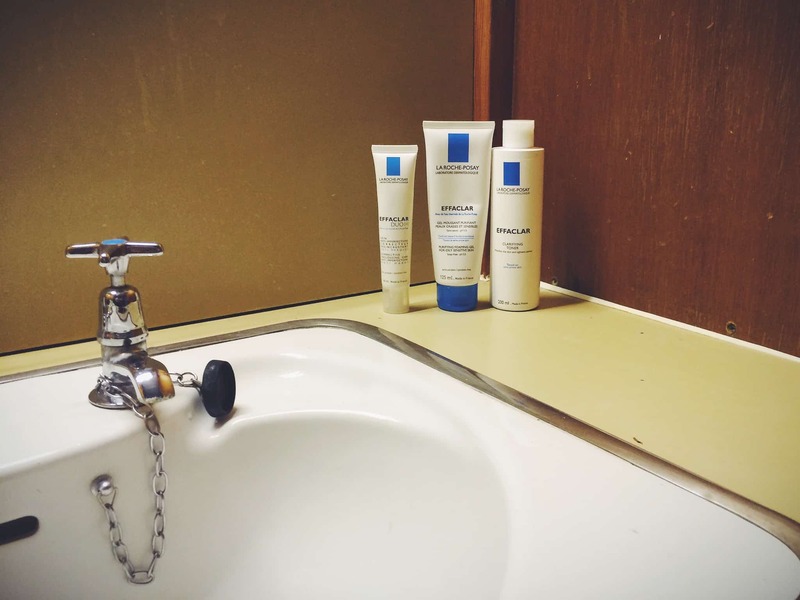 Before trialling the La Roche Posay 3 Step, he’d been using Clinique’s 3 Step system in 3: Oily Combination including the wash, astringent and moisturiser, as well as a serum and hydrator to match. It’s a running theme throughout the trial that the wash is universally loved; Chris loved the gentle cleansing effects although wasn’t a big fan of the fragrance (particularly as Clinique products are fragrance free). He felt the toner wasn’t astringent enough, again, likely because the Clinique Clarifying Lotion is quite a powerful product but it felt softer and less tight after use. 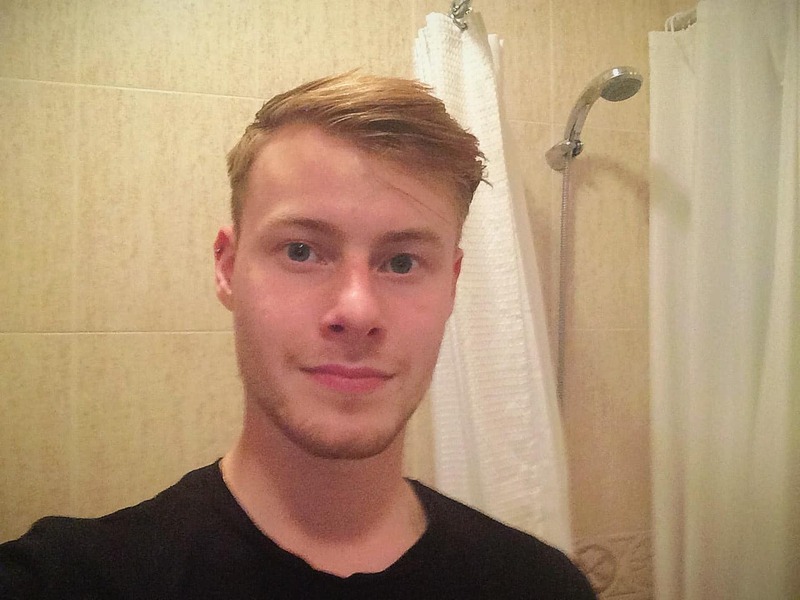 Finally he enjoyed the Duo [+] moisturiser and noticed that it reduced both his pore size and blemishes but wanted something a little more hydrating to last throughout the day. 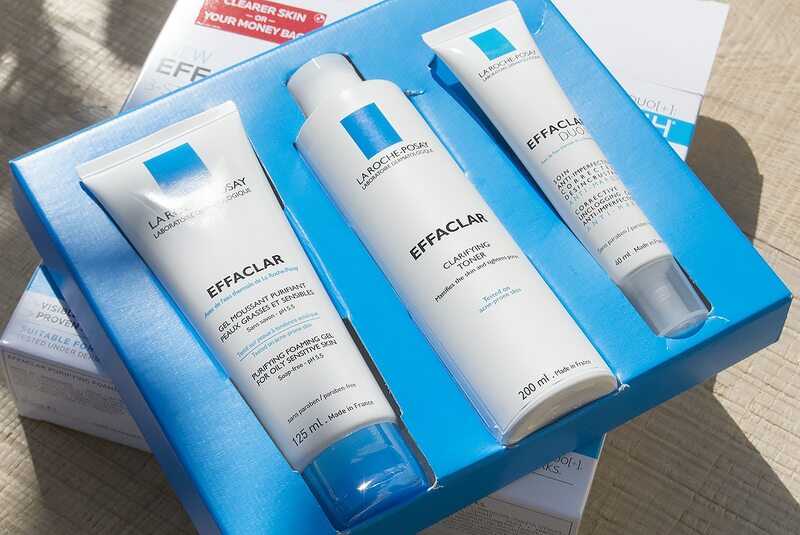 I recommended Chris continue to use the La Roche-Posay 3 Step (not only for the massive savings) but also add in Effaclar Mat, a hydrating and pore reducing treatment that can be applied over Duo [+] and will soothe the skin more deeply when used in conjunction. I was personally impressed by the pore reducing powers of the 3 Step as Chris felt the range had done more to target his pores than his Clinique 3 Step had in a good few months! Ross has a stressful time of things with his job and other endeavours; his skin has always been the first signal of him being stressed (as is with many people) and his skin seems to just stop functioning properly. 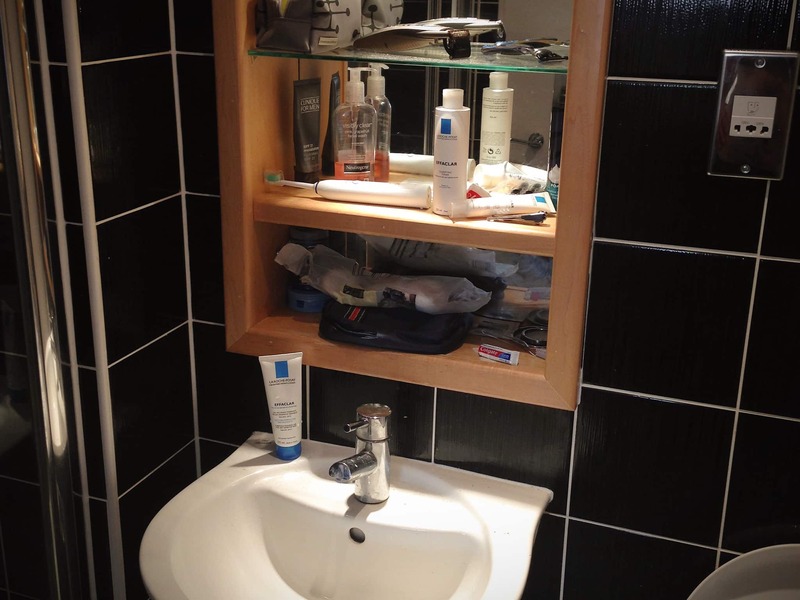 He uses a few products but nothing regimented and sometimes it can all go out the window. Again, the wash was a huge hit and he, as did the others and myself, enjoy how cleansed the skin feels without drying it out. Ross enjoyed the toner but felt it wasn’t as exfoliating as it could be as he did find more blackheads than he’s normally used to. Ross enjoyed the Duo [+] but it took a few weeks for his skin to adjust to its hydration and oil levels being rebalanced; at first he found it tight but then over the course, it softened up. 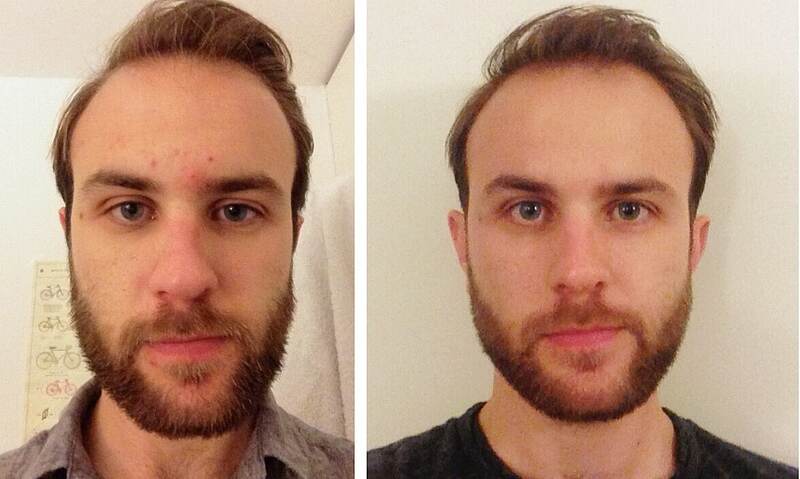 He was blown away by how it pretty much prevented any blemishes and banished the ones he had! 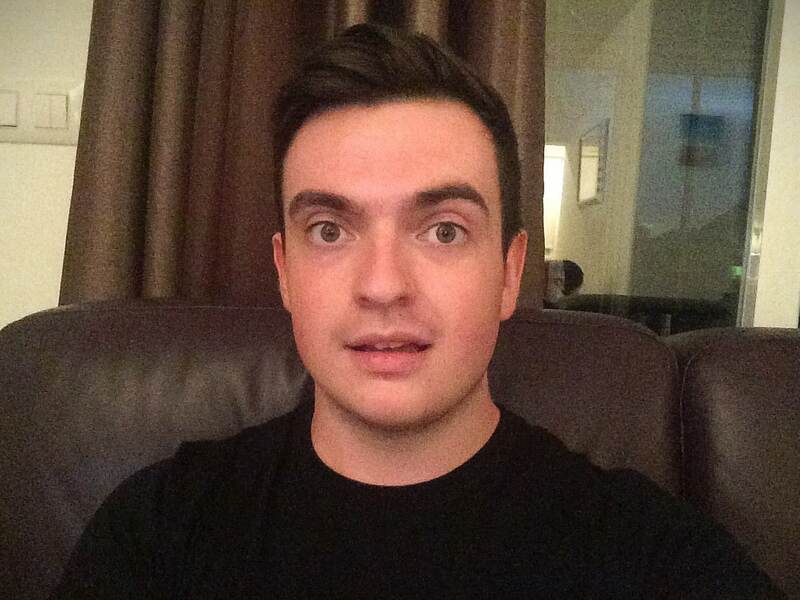 As with Phil, Ross definitely needs to add a manual exfoliator in to help unblock those pores, just to give a boost but as you can see from the before and after photos he took, the La Roche Posay Effaclar 3 Step system has been an enormous success story! I have insisted that Ross keep using it and not to let the regime slide out the window. Ross isn’t the only one that lives his life under stress. With me, my skin blocks and I dehydrate; I basically shrivel up into an angry looking raisin. I use an enormous range of products that I test and trial and it can send my skin into shock sometimes. Whilst I haven’t been able to use the La Roche-Posay system exclusively, I have stuck with them as a base, using other products on top. I found the wash amazing, I’ve used it before and reviewed it here. I could personally take or leave the fragrance but that’s just a personal preference, it isn’t overpowering by any means. I’m in love with the toner as not only is it 100% fragrance free, but works powerfully and gently with a mix of soothing ingredients and gentle chemical exfoliators. I’ll then point you back to my review of Effaclar Duo [+] here; my views haven’t changed. I’ve found the wash doesn’t dehydrate my skin but gives me that feeling of clean I love so much. 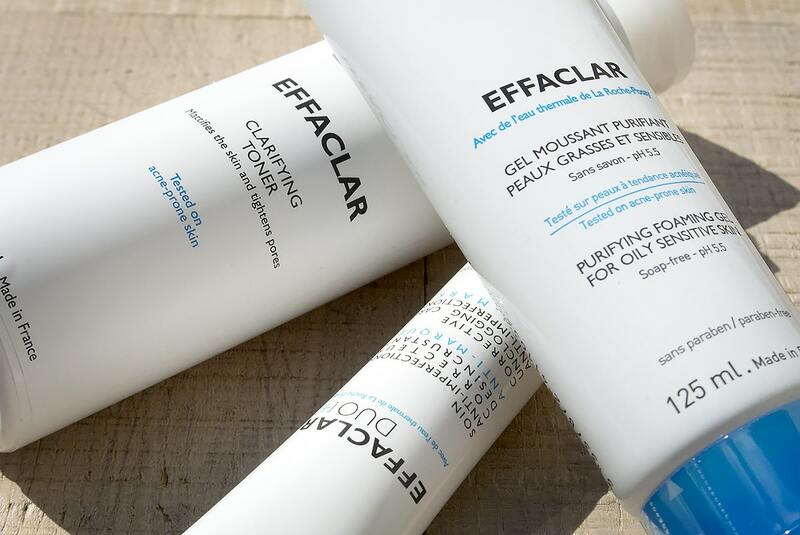 The toner is the best I’ve found in a long while and gives me the feeling of my favourite exfoliating lotion coupled with the soothing effects of my favourite micellar water. Duo [+] packs a punch and I love to use it almost as a serum with a hydrating moisturiser on top. It’s ability to prevent and kill existing blemishes is unmatched, regardless of its hugely competitive price point. This article first appeared on MANFACE written by Thom Watson. It was published on Tuesday 9th September 2014 and was last updated on Monday 3rd April 2017 at 1:55pm. It's categorised under Acne, spots & blemishes, Cleanse, Combination Skin, Enlarged / Blocked Pores, Exfoliate, La Roche-Posay, Moisturise, Oily Skin, Sponsored where you'll find more related content. 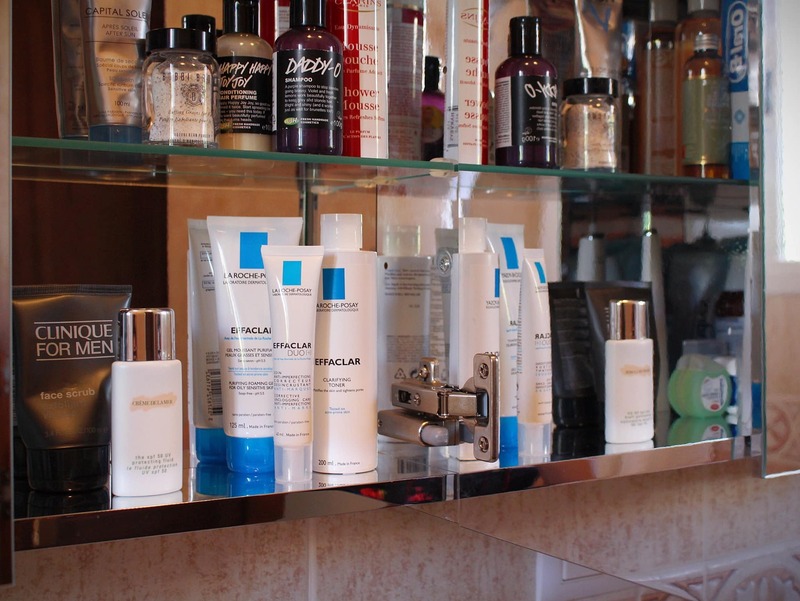 can men use la roche posay? it seems that the brand is a little feminine even though i really likee what it stands for. how does LRP fair up against Clinique for Men?